A day after scoring four times in the ninth inning to beat the Sea Dogs (57-63), the Bowie Baysox (60-59) put up five runs in the eighth inning to win their second straight, 6-5 on Sunday afternoon. The Baysox struck first in the top of the third inning. Brian Ward led off with a double, went to second on a sacrifice bunt and then scored on a sacrifice fly by Trayvon Robinson to make the score 1-0. In the bottom half of the inning, the Sea Dogs answered right back. With one out, David Ross walked and Garin Cecchini singled. Then J.C. Linares hit a three-run home run to put the Sea Dogs out in front 3-1. Linares added another run in the fourth inning, when he hit a two-out RBI single to knock in Ross and make the score 4-1. The Sea Dogs tacked on one more run in the sixth inning. Shannon Wilkerson led off with a double and went to third on a groundout. Then Matt Spring hit a sacrifice fly to make the score 5-1. In the eighth inning, the Baysox mounted the rally. Buck Britton drew a one-out walk and Brandon Waring singled to put two on. Then with two outs, Niuman Romero doubled to right on a 3-2 pitch to knock in both Britton and Waring. After a walk to Josh Horton, Garabez Rosa hit his fourth home run of the season to put the Baysox back out in front 6-5. Matt Bischoff threw two innings and allowed one run on two hits with two strikeouts to pick up the win. Daniel McCutchen tossed two scoreless innings to finish off the game and pick up the save. 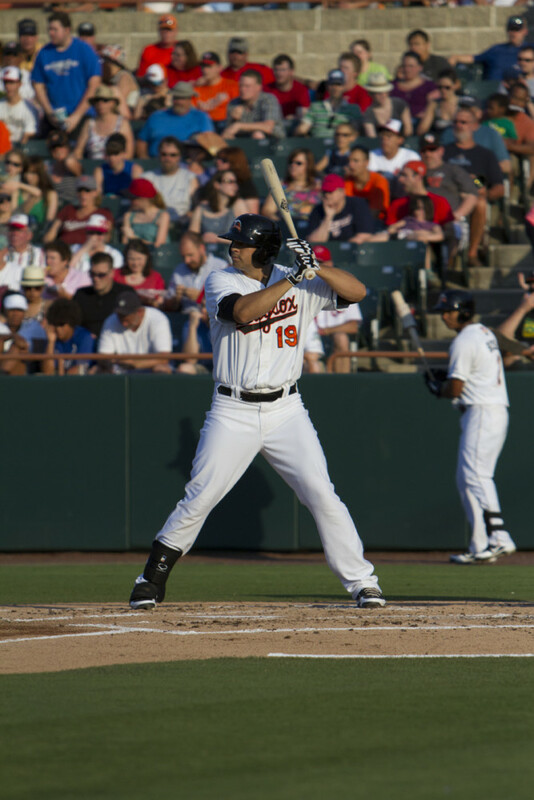 The loss went to Miguel Celestino who gave up the three-run that put the Baysox out in front.